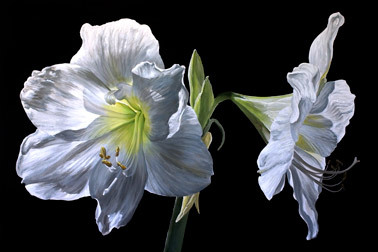 Backlighting creates powerful glowing light in this amaryllis painting. The dark background brings the radiance of the flowers into their full power and grace. 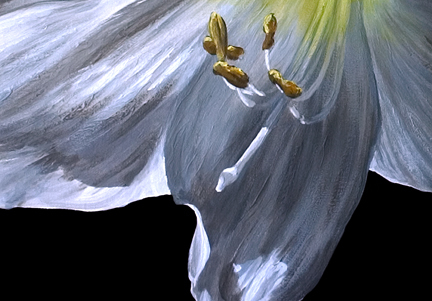 They glow with a blazing yellow light which spreads into the soft textured white petals.